We all want a place to feel welcome, to be at ease. Many of us dream of a particular style of home, a look, a feel, an aesthetic. When you’re designing your home, it’s a unique opportunity to ensure that your house will reflect your personality. Of course, you also want something that’s watertight and durable, that’ll last the test of time. With metal panel roofing, it’s possible to have the dream and the reality. Complete the modern home you crave with a stylish low-pitched roof. With today’s roofing innovations, there’s no reason why you can’t have your roof and live under it, too. During building design, there are many factors that impact roofing options, such as durability, geographical location, climate, and roof maintenance. Another factor is roof pitch, or how steep the roof is. There is an increasing preference for low pitch, mono-pitched and flat-style roofs, as medium to high density housing continues to be the focus in New Zealand. With lots of homes in close proximity, designers prefer low-pitched roofs that blend in smoothly and don’t obstruct the view. It’s always important to consider how watertight your roof is, but did you know that lower pitched roofs don’t drain as well as steeper roofs? That’s why it’s critical to get top-quality roofing products, including a watertight roofing underlay. The roof of a new build should be a priority for any designer, as it’s a crucial part of the health and appearance of the home. A roof protects those living within, and it dramatically affects the overall style and value of the house, too. One of the latest trends in roofing is the mono-pitched roof, which is quite striking. 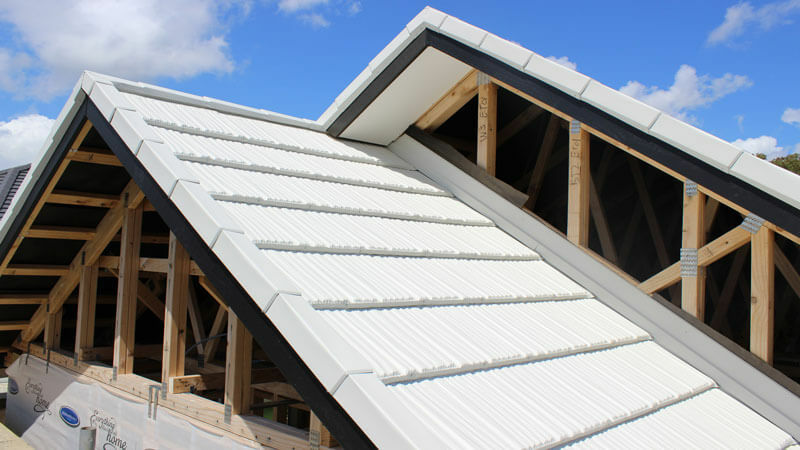 Also called a ‘skillion’ roof, a mono-pitched roof is recognised by the distinctive single slope. Traditionally this look was used for garages or sheds, and long-run roofing was the material of choice. Today, however, you can achieve a modern, trendy look with metal stone-coated steel panels. Mono-pitch roofs usually don’t need to be attached to other parts of the roof. This makes them easy to construct. They’re completed more quickly and for less expense than other roofs, as they require less labour. It’s not just the outside of the home that can benefit from a mono-pitch roof. If the ceilings are designed to work with the pitch of the roof, you’ll add light and space to interior rooms. With our metal panels, modern roof designs are possible. That’s because companies like Metrotile, a world leader in roofing, are driving change in the industry. Their traditional roof profiles could be applied to a minimum roof pitch of 15 degrees. And the new CF tile profiles can fit a minimum roof pitch of 9.5 degrees! With the new technology available, new builds really have all the best options. Mono-pitched roofs are not only possible, they’re easy to construct and with Metrotile products, they look superb. 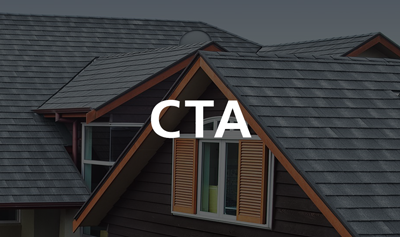 If you’ve found this blog informative, check out our Homeowner eBook for more roofing ideas. Copyright © 2019 Ross Roof Group. All rights reserved.